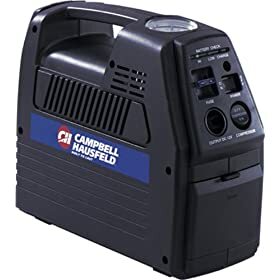 Campbell Hausfeld CC2300 12-Volt Cordless Inflator with Light for $53.25. Inflates up to 180 balls with one charge. Cordless with rechargeable 12-volt power pack. Plugs into cigarette lighter or household socket. Includes pressure gauge, hose and air fitting adaptor. Spam Protection: * Answer of 6 + 1?